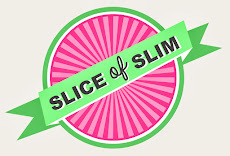 The reason I haven't been able to blog much is because it has been a very exciting week for Slice-of-Slim! The picture above shows my car stuffed full of gorgeous home-made goodies in preparation for a photo-shoot in London for Weight Watchers (UK) Magazine which took place on Thursday. The October issue (out in September), will feature my weight loss story and introduce me to the readers before I become a regular collaborator! I have a yummy little SMASH & GRAB coming up for you tomorrow! How jolly exciting Janey - well done x.